Disclaimer: The papers referenced here do not necessarily represent the first publication of some discoveries. In many cases, authors are including the work of others. In this document ISOGG in no way is trying to assign credit to researchers. Some of the earlier research papers have been omitted because they use older naming conventions that would require further explanation. L12 R (Private SNPs) SNP discovery and data documenting the phylogenetic position were privately communicated to the ISOGG Y-DNA Working Group. L66 E1b1b1a4 aka S159, SNP discovery and data documenting the phylogenetic position were privately communicated to the ISOGG Y-DNA Working Group. L67 E1b1b1a4 aka S159, SNP discovery and data documenting the phylogenetic position were privately communicated to the ISOGG Y-DNA Working Group. L70 J2a4h1a1 SNP discovery and data documenting the phylogenetic position were privately communicated to the ISOGG Y-DNA Working Group. L148 R1b1b2a1a1d2 SNP discovery and data documenting the phylogenetic position were privately communicated to the ISOGG Y-DNA Working Group. L164 R1b1b2a1a1d1a1 SNP discovery and data documenting the phylogenetic position were privately communicated to the ISOGG Y-DNA Working Group. M228.2 R (Private SNPs) SNP discovery and data documenting the phylogenetic position were privately communicated to the ISOGG Y-DNA Working Group. M377 G2c Regueiro et al (2006); Sengupta et al (2006); Karafet et al (2008) 13536827, This SNP is designated as i4000116 in the 23andMe datasets. P298 N1c1 SNP discovery and data documenting the phylogenetic position were privately communicated to the ISOGG Y-DNA Working Group. P309 C4 SNP discovery and data documenting the phylogenetic position were privately communicated to the ISOGG Y-DNA Working Group. P314 H2a SNP discovery and data documenting the phylogenetic position were privately communicated to the ISOGG Y-DNA Working Group. S2 IJ SNP discovery and data documenting the phylogenetic position were privately communicated to the Y-DNA ISOGG Working Group. S4 R SNP discovery and data documenting the phylogenetic position were privately communicated to the Y-DNA ISOGG Working Group. S6 J SNP discovery and data documenting the phylogenetic position were privately communicated to the Y-DNA ISOGG Working Group. S8 R SNP discovery and data documenting the phylogenetic position were privately communicated to the Y-DNA ISOGG Working Group. S9 R SNP discovery and data documenting the phylogenetic position were privately communicated to the Y-DNA ISOGG Working Group. S13 R1b1b2 SNP discovery and data documenting the phylogenetic position were privately communicated to the Y-DNA ISOGG Working Group. S17 R1b1b2 SNP discovery and data documenting the phylogenetic position were privately communicated to the Y-DNA ISOGG Working Group. S22 IJ Ethnoancestry (Genealogy-DNA Rootsweb List, 30 November 2005); SNP discovery and data documenting the phylogenetic position were privately communicated to the ISOGG Y-DNA Working Group. S34 J SNP discovery and data documenting the phylogenetic position were privately communicated to the ISOGG Y-DNA Working Group. S35 J SNP discovery and data documenting the phylogenetic position were privately communicated to the ISOGG Y-DNA Working Group. S44 R (Private SNPs) + = See Private SNPs on Haplogroup Page; SNP discovery and data documenting the phylogenetic position were privately communicated to the ISOGG Y-DNA Working Group. S50 R (Private SNPs) + = See Private SNPs on Haplogroup Page; SNP discovery and data documenting the phylogenetic position were privately communicated to the ISOGG Y-DNA Working Group. S68 R1b1b2a1a2e SNP discovery and data documenting the phylogenetic position were privately communicated to the ISOGG Y-DNA Working Group. S69 R (Private SNPs) + = See Private SNPs on Haplogroup Page; SNP discovery and data documenting the phylogenetic position were privately communicated to the ISOGG Y-DNA Working Group. S79 I1e Private=One individual in Belgium; SNPs on Haplogroup Page; SNP discovery and data documenting the phylogenetic position were privately communicated to the ISOGG Y-DNA Working Group. 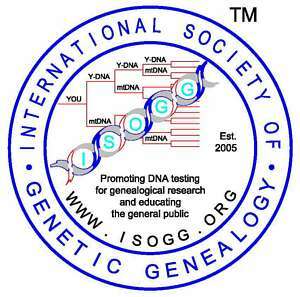 S86 F+ + = See Notes on Haplogroup Page; private SNP; SNP discovery and data documenting the phylogenetic position were privately communicated to the ISOGG Y-DNA Working Group. S107 I1 SNP discovery and data documenting the phylogenetic position were privately communicated to the ISOGG Y-DNA Working Group. S108 I1 SNP discovery and data documenting the phylogenetic position were privately communicated to the ISOGG Y-DNA Working Group. S110 I1 SNP discovery and data documenting the phylogenetic position were privately communicated to the ISOGG Y-DNA Working Group. S111 I1 SNP discovery and data documenting the phylogenetic position were privately communicated to the ISOGG Y-DNA Working Group. S121 R (Private SNPs) SNP discovery and data documenting the phylogenetic position were privately communicated to the ISOGG Y-DNA Working Group. S122 R (Private SNPs) SNP discovery and data documenting the phylogenetic position were privately communicated to the ISOGG Y-DNA Working Group. S123 R (Private SNPs) SNP discovery and data documenting the phylogenetic position were privately communicated to the ISOGG Y-DNA Working Group. S124 R (Private SNPs) SNP discovery and data documenting the phylogenetic position were privately communicated to the ISOGG Y-DNA Working Group. S136 R (Private SNPs) SNP discovery and data documenting the phylogenetic position were privately communicated to the ISOGG Y-DNA Working Group. S142 I1d aka L22; SNP discovery and data documenting the phylogenetic position were privately communicated to the ISOGG Y-DNA Working Group. U8 G2a3 aka, L32 and S148; Sims et al (2006); Sims et al (2009) rs7892988; 13202247. U13 G2a3b1a1 aka L13 and S131; Sims et al (2006); Sims et al (2009) rs9786706; 13208948. U16 G2a3a1 aka L14 and S130; Sims et al (2006); Sims et al (2009) rs35474563; 21327383. Brion et al, Introduction of a Single Nucleodite Polymorphism-based "Major Y-chromosome Haplogroup Typing Kit" Suitable for Predicting the Geographical Origin of Male Lineages. (abstract) Electrophoresis, 26:4411-4420, 2005. The following documents are used simply to document the citation for particular SNPs. Family Tree DNA (FTDNA) 2005 Y-Chromosome Phylogenetic Tree. Genealogy by Genetics, Ltd., 18 October 2004. Shen et al, Population Genetic Implications from Sequence Variation in Four Y Chromosome Genes. PNAS, Vo. 97, No. 13: 7354-7359, June 20, 2000. Added L69; added Y positions to L1/S26, L3, L4, L5, L6, L7, L8, L9, L10, L12, L22, L61 on 5 January 2009. Showed L69 in two of its locations by using L69(=G) and L69(=T) on 7 January 2009. Added snps L24, L25, L26 and L27 on 14 January 2009. Changed subclades for L31, L32, S148, S149 on 10 February 2009. Changed subclades for DYS439(null), L1, L2, L11, L20, L21, L48, L44, L45, L46, L47, L51, L52, M37, M65, M126, M153, M160, M167, M222, M405, M467, P66, P107, P310, P311, P312, S21, S26, S28, S29, S68, S116, S127, S128, S129, S139, S144, S145, S162, SRY2627, U106, U152, U198, USP9Y+3636 on 10 March 2009. Added L29, L66, L67; changed clades for L19, M243 and M310; M329 no longer listed as private on 10 March 2009. Adjusted M307 and P203 to M307.1, M307.2 and P203.1, P203.2, removed S25, and added P298 amd rs2033003 on 11 March 2009. Removed C4b-DYS390.1 del, Hudjashov (2006) as the paper is no longer accessible on 17 March 2009. Added to notes on private individuals on N2 and N3 on 21 March 2009. Added L91 on 24 March 2009. Added L42 and L43 on 25 March 2009. Corrected rs# and location for L13 and L14 and redefined subclades for L44, L45, and L46 on 9 April 2009. Added L70, and changed subclades for DYS413=18, DYS445≤7, L24, L25, L26/S57, L27, M47, M67/S51, M68, M92, M137, M158, M163, M166, M260, M289, M318, M319, M322, M327, M339, M419, P81, P279 on 16 April 2009. Clarified L69 as L69.1 and L69.2 and added equivalents S163.1 and S163.2 on 19 April 2009. Changed subclades for L19, L29 and M310 on 22 April 2009. Added L126, L126, S165 and S166 on 1 June 2009. S135 was found to be equivalent to P303 so it was moved from the subclade containing U1 to that containing P313 on 3 June 2009. Added Sims et al (2009) and rs numbers to U1, U2, U3, U5, U6, U7, U8, U12, U13, U16, U17, U20, U23 and U33. Rs number for U21 not given. Updated L13, L14, L32, S130, S131, and S148 on 4 June 2009. Changed subclades for L13, L42, L43, P303, S131, S135, S146, S147, U1 and U13 on 22 July 2009. Added L78, L139, L140, L141, L177 on 22 July 2009. Added L131 on 22 September 2009. New locations for L45, L47, and L42/S146 on 24 November 2009. Added L148, L164, L184, M334, M434, and M458 on 24 November 2009. Added L90 and L185 on 11 December 2009.